The Golden Age Huntress was a supervillain (real name: Paula Brooks), who first appeared in Sensation Comics #68 (1947). She was later retroactively renamed the Tigress in Young All-Stars #6 (1987); these stories took place prior to her villainous career. At this point, the young Paula Brooks was a super-heroine, and fought both Nazis and criminals as a Young All-Stars member. Created by Paul Levitz, Joe Staton, and Bob Layton, her first appearance was in All Star Comics #69 (December 1977) and DC Super Stars #17, which came out the same day and revealed her origin. She appeared in Batman Family #17-20 (1978) when it expanded into the Dollar Comics format for its last few issues. The bulk of her solo stories appeared as backup features in issues of Wonder Woman, beginning with issue #271 (September 1980). Wonder Woman #271-287, #289-290 and #294-295. During the 1985 mini-series Crisis On Infinite Earths, Helena Wayne was killed while attempting to save the lives of several children. After Crisis ended, Helena Wayne's existence was retroactively erased from the remaining Earth and the world no longer remembered her. The Helena Wayne Huntress returned in the wake of DC's The New 52 relaunch with a 6-issue Huntress mini-series (October 2011, collected in the trade paperback Huntress: Crossbow At The Crossroads). 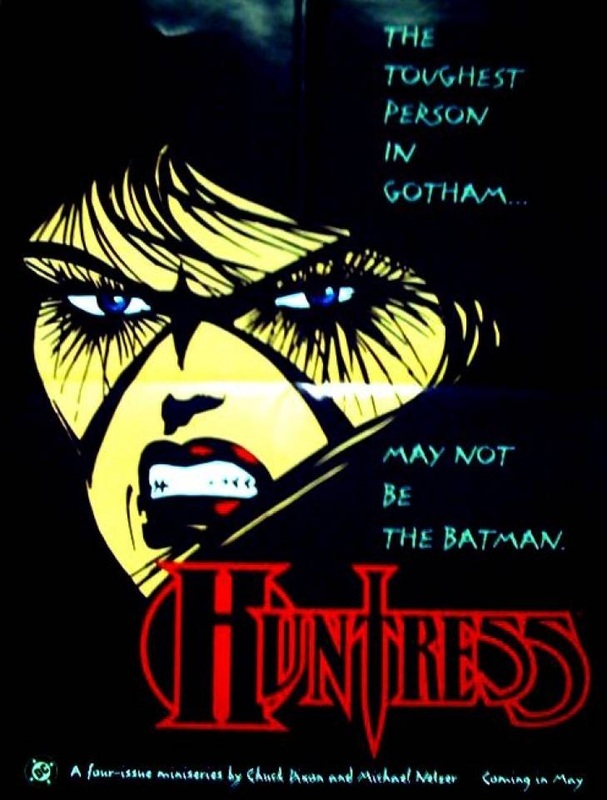 When the series launched, it was ambiguous who Huntress was, but later (in January 2012), with the announcement of the new series Worlds' Finest - starring Helena Wayne and Power Girl - it was confirmed that the Huntress within the series is indeed Helena Wayne; it is revealed in the first issue that Helena Bertinelli has been dead for a long time and that Helena Wayne has been using her identity. So, following 1985's Crisis On Infinite Earths, the Helena Wayne version of the Huntress was removed from continuity. DC introduced a new version of the Huntress with the same first name and physical appearance, and with a similar costume, but with an entirely different backstory and different personality. The Modern Age Huntress is Helena Rosa Bertinelli (also Hellena Janice Bertinelli in the mini-series Robin III: Cry of the Huntress), the daughter of one of Gotham's mafia bosses who, after seeing her entire family murdered by a mob hit, vows revenge. 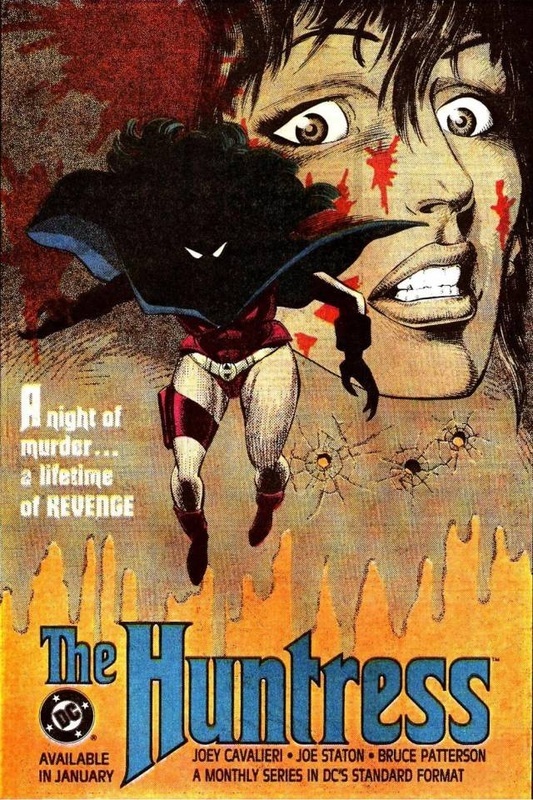 This version of the Huntress starred in her own ongoing series (Huntress, Vol. 1) that ran for 19 issues, from 1989 to 1990. The 6-issue mini-series Robin III: Cry Of The Huntress (1992-1993) pairs up the new Robin (Tim Drake) with The Huntress. The Huntress 4-part mini-series (Huntress, Vol. 2, 1994) followed up on the interest from the previous year's Robin III: Cry of the Huntress. During the "Batman: No Man's Land" story line the Huntress works as Batgirl, but not alongside Batman (whom the citizens believe abandoned them). Batman considers her to be too unpredictable and violent. Others in the Batman family feel differently; Nightwing had a brief romantic fling with her, while she and Tim Drake shared a good professional relationship. Later on, Batman sponsors Huntress's membership in the Justice League (in JLA: Secret Files #2, 1998) and for some time, Huntress was a respected member of the League. Under the guidance of heroes such as Superman, she grew in confidence, but was forced to resign after Batman stopped her from killing the villain Prometheus (JLA #40, 2000). 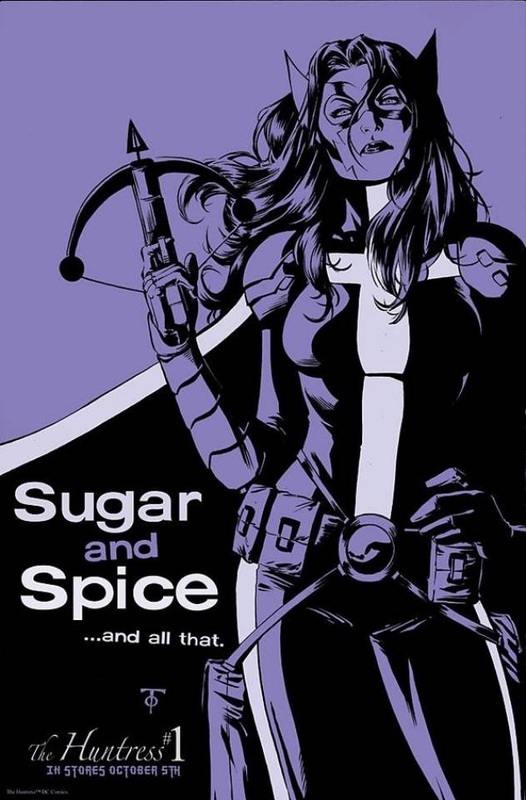 The Huntress was featured in the comic book Birds Of Prey from 2003 onwards as a member of the eponymous team. Although she is still depicted as prone to excessive violence, she became a valuable member of the team. Huntress' (Helena Bertinelli) origin was revised in 2000's 6-issue Batman/Huntress: Cry for Blood limited series. In 2008, Huntress starred in Huntress: Year One, a 6-issue mini-series (May-July 2008).